* Prices from £279 per person based on double occupancy of a room. Secure your package from a non-refundable deposit of £75 per person. Book Official Edinburgh’s Hogmanay Travel Office packages for an unforgettable experience. We’ll do all the hard work by providing you with a package to include accommodation, breakfast and tickets for events running over the Festive season! A sell-out event, so book early to avoid disappointment! Edinburgh is a festival city like no other and in its three day Hogmanay fun filled extravaganza, the City has so much to offer! The only festival to appear in the ‘Discovery Channel – Top 25 World Travel Experiences’, Edinburgh’s Hogmanay is one of the world’s greatest New Year celebrations and the city is well equipped to host such an event! Glory Days are based in central Edinburgh and we love brining clients to our lovely city! We have been providing Official packages for events for sixteen years. The relationships we have developed with each event and hotels, combined with local knowledge, guarantee an unforgettable Edinburgh experience. We are ATOL and ABTOT protected, meaning you can book with confidence – you’re in safe hands. Say to the world… I WAS THERE. At the BEST. PARTY. EVER! 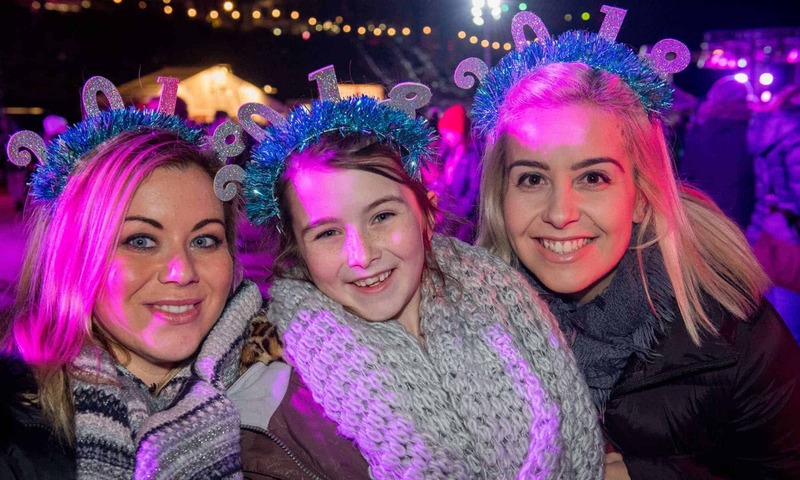 Join people from around the world to bring in the New Year at one of the world’s biggest and best outdoor parties with live music, DJs, street entertainment and the ultimate fireworks display from Edinburgh Castle. December 31st 2019, Edinburgh will throw open its doors to the world. Join us up and down Princes Street to celebrate the New Year in the heart of the city. From the moment the doors open, till after the midnight bells have fallen silent, bands and DJs, street performers and dancers, and various other entertainers will all combine to make it the party of a lifetime. At midnight, the ultimate fireworks display will mark the end of the old year and usher in 2020 set against the iconic backdrop of Edinburgh Castle. The full line-up for the Street Party stages will be announced at a later date. This event does not permit children under the age of 12. Children under the age of 16 must be accompanied by an adult over the age of 21. We provide a special groups service for over 8 persons and can help with full itinerary planning as part of a simple or fully inclusive service. Our group service is ideal for corporate, families or just a group of friends! To book contact direct on 0131 556 3840 or complete our Enquiry form. This Georgian town house is just 5 minutes’ walk from Princes Street and Edinburgh Waverley Station. This budget B&B I perfect for resting your head whilst you enjoy the City, with many local bars and restaurants nearby to choose from. This B&B is also close to many Fringe Festival venues such as The Place, The Jam House and The Stand Comedy Club. Please note this B&B does not have an elevator, so may not be suitable for those with limited mobility. Located just off the Royal Mile in the heart of Old Town, this modern hotel is in the perfect location for your trip to Edinburgh. With the biggest Festival venues, Royal Mile and abundance of bars, restaurants and cafes on your doorstep, you’ll be spoilt for choice! Staying a little longer? You’ll also have time to explore Greyfriars Kirkyard and the National Museum of Scotland which are just around the corner! If you’re looking for a centrally located hotel, look no further than Motel One. Located directly outside of Edinburgh Waverley Station and Waverley Bridge for buses to and from the Airport, the Motel One is less than a 10 minute walk to Edinburgh Castle, the Royal Mile and on Princes Street, all of which boast unlimited choices for attractions such as Scotch Whisky Experience, Holyrood Palace, Mary Kings Close, as well as many great restaurants, shops and bars. Eden Locke, located on George Street, is a design-led aparthotel for those who want to challenge the status quo, and experience the unique and authentic. Designed for travellers for whom a bed and shower in a shoebox isn’t enough, Eden Locke immerses you in its neighbourhood’s culture through spaces that connect you to a community of like-minded locals and travellers. Every apartment has been meticulously designed to include everything you want – regardless of your length of stay. Tucked away on a quiet, residential street in the West End of the City, the Hilton Grosvenor resides over two historic 1860’s listed buildings. Enjoy dinner in the Townhouse Restaurant and drinks in Bar 521 after a day of exploring all that Edinburgh has to offer. The tram, which leaves from around the corner, will also take you directly into the City centre every 10 minutes so you can easily get to all the monuments, attractions, shops and Festival venues, that make Edinburgh such a great city to visit. One of the newest additions to Edinburgh, The Courtyard by Marriott combines heritage with style, offering you all you will need for your stay in the heart of Edinburgh. Enjoy dinner and cocktails in the Lantern Restaurant and Bar, and start your day off with a session in their fitness centre. Located directly behind Carlton Hill, enjoy a summer stroll up for some picturesque views of the City. 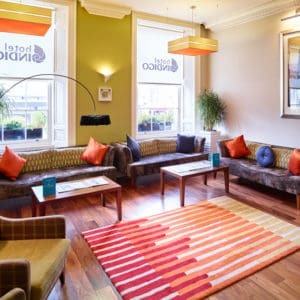 Centrally located just moments from Princes Street, the Royal Mile and Edinburgh Castle, this boutique hotel is the perfect place to relax and discover more about this world famous capital city. 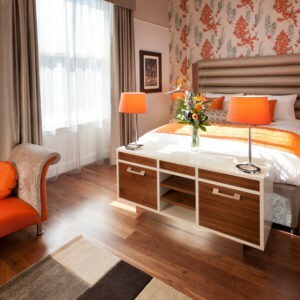 Each bedroom is individually designed to reflect the neighborhood story with details of Edinburgh’s rich history. As well as complimentary mini bars full of soft drinks and snacks each room has spa inspired bathrooms, complete with rainfall showers and luxury toiletries. After a busy day exploring Edinburgh’s buzzing city centre why not relax in The Turquoise Thistle Restaurant, Bar & Lounge. 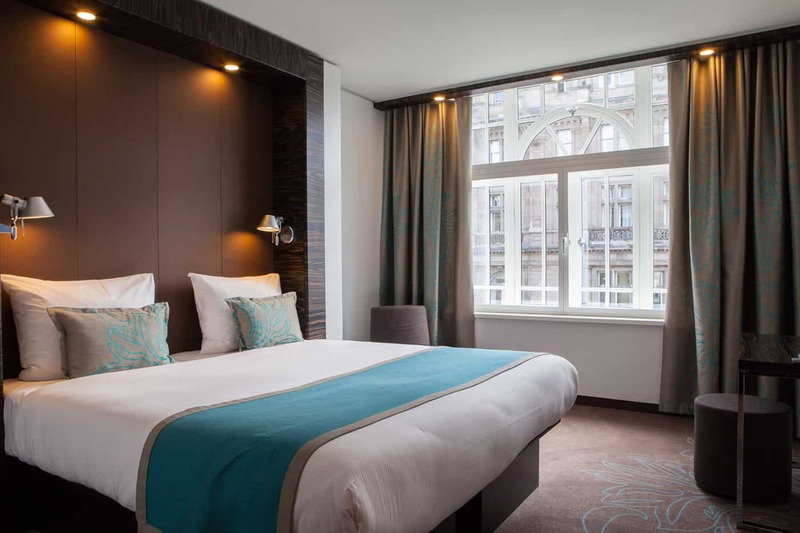 One of Edinburgh’s most popular hotels, The Radisson Blu is located right on the Royal Mile in the heart of the Old Town. 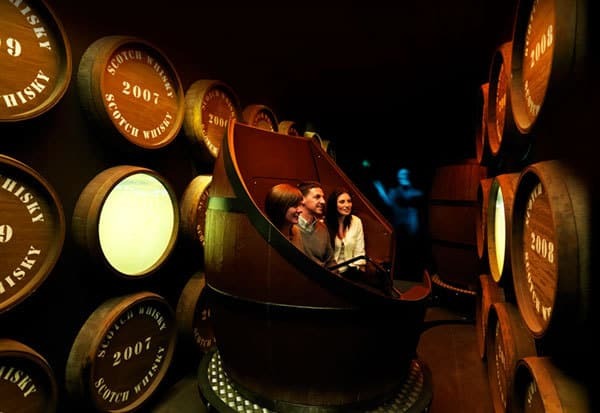 A short walk to Edinburgh Castle, as well as many of Edinburgh’s attractions such as Scotch Whisky Experience, Palace of Holyrood and Camera Obscura. Soak in the atmosphere of the Fringe Festival on your doorstep, or relax in the hotels bar or swimming pool. 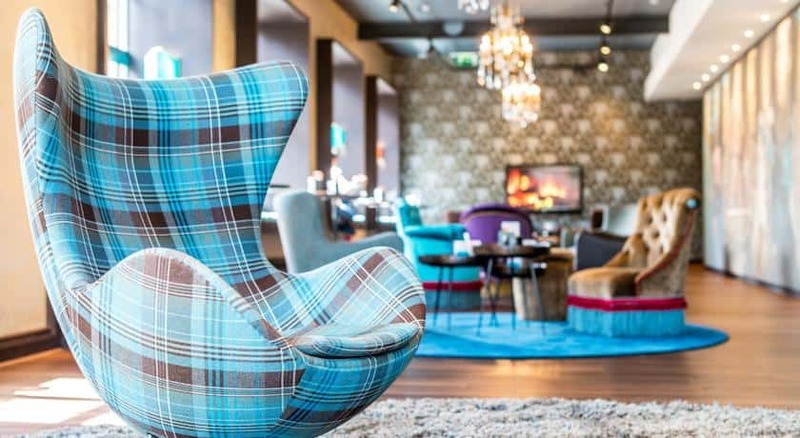 If you want to stay close to Edinburgh Castle, look no further than Radisson Collection, which is uniquely located right on the Castle’s doorstep! Before the show, enjoy dinner in the exquisite Cucina restaurant, and a drink in their new bar, Epicurean. Designer rooms boast stunning skyline views, walk in rain showers and air conditioning. The perfect hotel for the perfect stay in Edinburgh. Our own York Place self-catering apartments are located right in the heart of the City, offering easy links from the trams and train station. 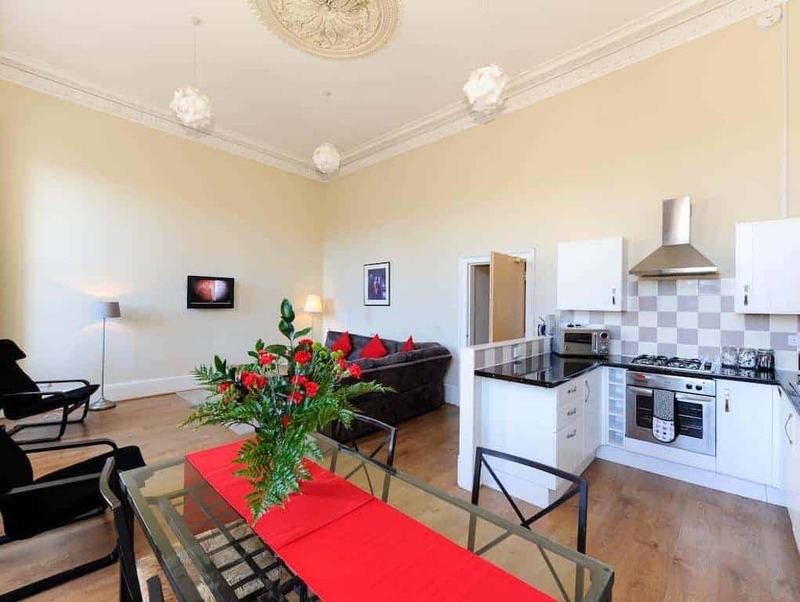 Located in a listed Georgian townhouse overlooking the Firth of Forth, our apartments offer modern comforts, with many of them showcasing traditional features such as high ceilings, large windows, fireplaces and original cornicing. Perfect for families and large groups, these apartments sleep between 6-12 people. Some of the Fringe Festival venues, The Stand Comedy Club and Venue 532 Laughing House, are located on the same street and Underbelly, Assembly George Sq Theatre and Gilded Balloon, are only a 20 minutes’ walk away. 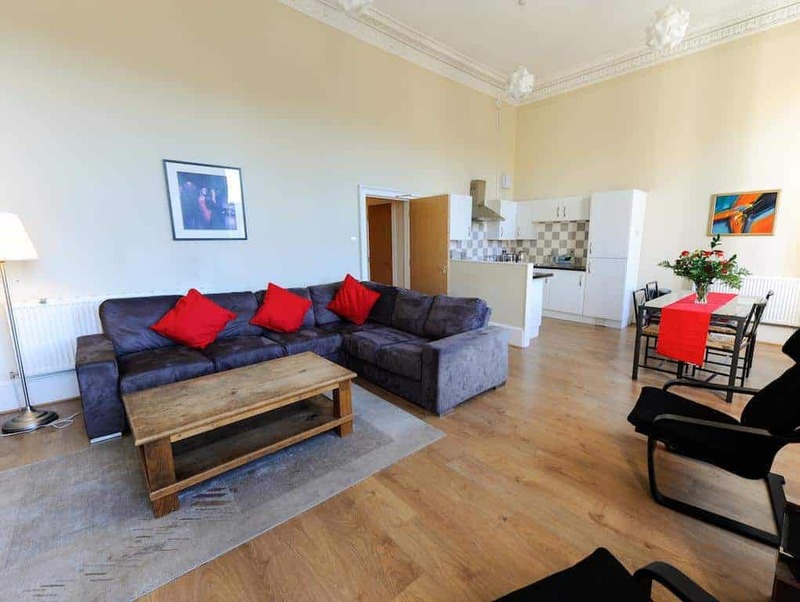 Situated in a vibrant Newington area, just around the corner from The Holyrood Park and the Arthur’s Seat, our Southside Apartments are perfect for families and larger groups. Some of the apartments feature traditional high ceilings, large windows, and original cornicing and serve as a perfect base to explore the city. Just a short 10 minute walk to the Royal Mile, the area offers a huge range of great bars, restaurants and shops. The main Fringe Festival venues, such as Summerhall, Underbelly, Assembly George Sq Theatre and Gilded Balloon, are only a few minutes’ walk away. The area is well connected by bus and the Waverly train station is a 15 minutes’ walk away. 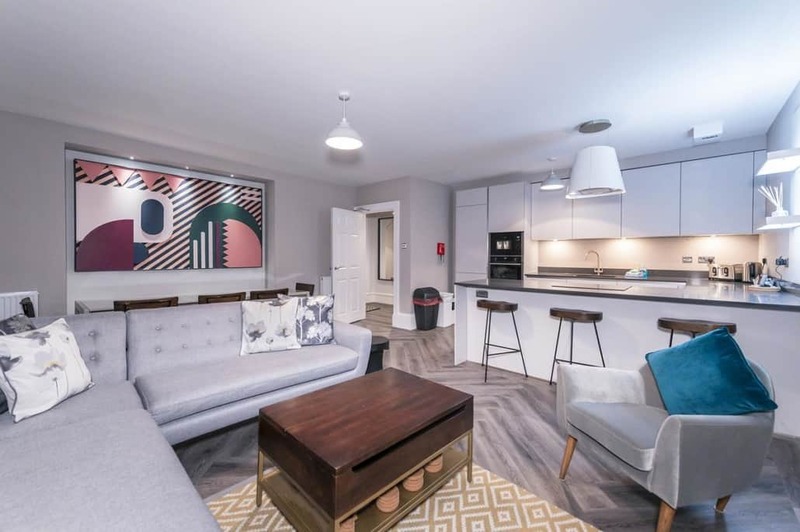 Situated in a quiet modern residential area of Edinburgh’s New Town just a 15 minute walk from the Edinburgh Playhouse Theatre, our Rodney Place apartments are ideal for families, couples and longer stays. The cafés and restaurants of nearby Broughton Street offer something for everyone, with the Royal Botanic Garden Edinburgh providing a perfect place to relax. 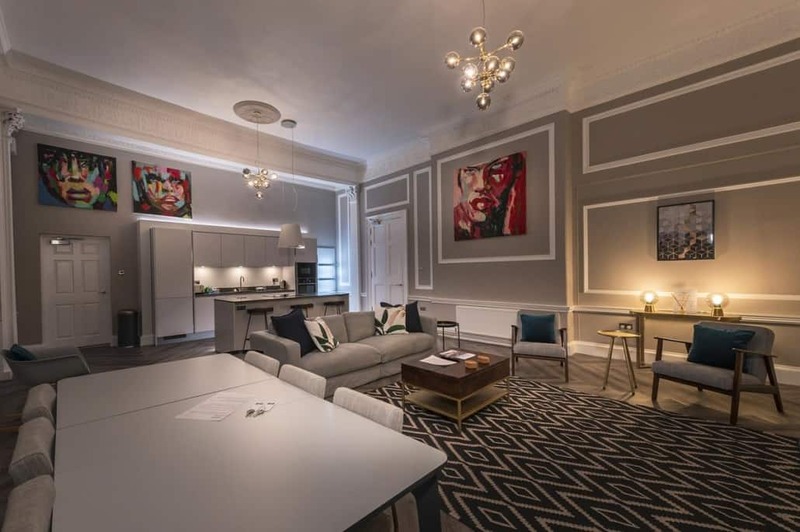 Some of the Fringe Festival venues, The Stand Comedy Club and Venue 532 Laughing House, located on York Place, are only a 10 minutes’ walk away, and St. Andrew’s Square about a 15 minutes’ walk from the apartments. Nearby shops include newsagents and a Tesco supermarket. All apartments include free off street, private parking (one space per apartment); alternatively for those arriving by bus, tram or train, the stations are only a 10 minute walk away. Please enquire and we can enhance your Official Edinburgh’s Hogmanay package and make all the arrangements in advance. Queue jumping tickets are a must to make the most of your limited time in Edinburgh!